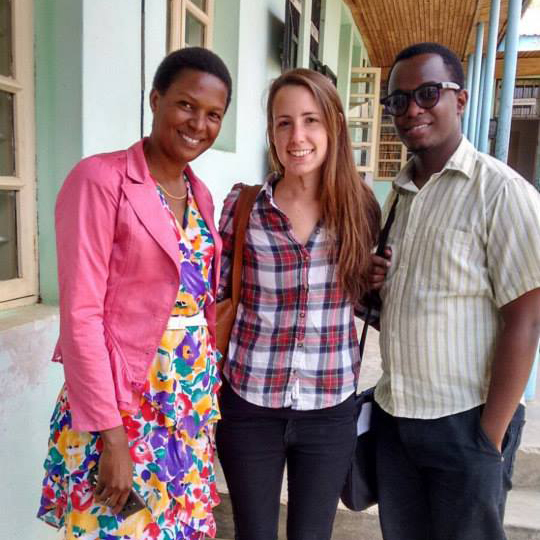 Regina Leichner, center, was appointed MCW’s Director of Africa Programs. Regina is pictured here at a dental outreach in Mbeya, Tanzania as part of MCW’s Oral Health Care Program. Pictured with Regina is Agnes Butchwa, left, the Regional Dental Officer of Mbeya, and Fredrick Meena, right, MCW Senior Oral Health Care Fellow. NEW YORK, NY, April 3, 2016 – MCW, a New York-based non-profit organization dedicated to addressing communities’ pressing needs by empowering current leaders and readying leaders of tomorrow, announced today the appointment of Regina Leichner as Director of Africa Programs. As Director of Africa Programs, Regina will support and advise on Africa-related programming in both the Community Development and Oral Health Care Programs. 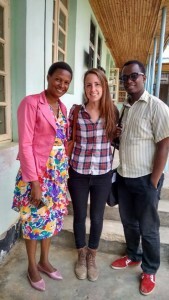 She will work closely with team members and stakeholders from MCW’s community centers in Rwanda, Tanzania, and Zambia, as well as with Oral Health Care Fellows in Tanzania. The Director of Africa Programs will serve on the MC-Rwanda, MC-Tanzania, and MC-Zambia Boards as a liaison to the MCW Global team in New York. She will be based out of New York with significant travel to Africa based on program and project needs. Regina has been a member of the MCW team since 2013, when she began an internship and was later offered a fellowship as Program Officer with MCW’s Oral Health Care Program, working closely with Oral Health Care Projects Director Dr. Marion Bergman. In 2014, Regina assumed a new role as Programs Manager with our Oral Health Care Program and as the Youth Leadership Retreat Coordinator. With her support, MCW improved upon the Young Leaders Program by developing a curriculum while working with the Young Leaders Program Committee. Additionally, she provided support to the Alumni Ventures Fund by formalizing the mentor/mentee process.